I have been brewing my own coffee at home for a while now and I even have started to brew at the office. For me, coffee is a passion, a way of seeing thing and, why not, a therapy. At the university I had a moka pot, a Melitta coffee filter, a traditional drip coffee machine and a Senseo coffee maker. Needless to say that I loved my Senseo; it's been so far the most practical coffee maker I've ever own. In more recent times, I've opted for a more "manual" way of brewing my coffee: The French Press. 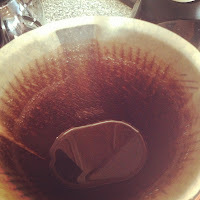 I still have a Melitta and a drip machine at home, but the Press Pot is by far my favourite. A few months ago, a very close friend of mine made me try a new trick: filtering the coffee made with the French press using the Melitta... it's AMAZING! 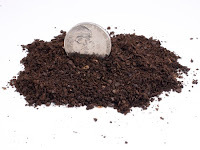 No more sediments in your cup! Well, I only wanted to share some of the tutorials I've been using to chose my own brewing style and thank Michael Allen Smith for the inspiration and his commitement to coffee. Writers need coffee. Since absinthe isn't around any more, it is about as good as we can do in terms of stimulating our synapses. But I digress. 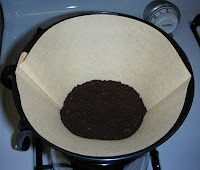 My favorite method of brewing coffee is using the press pot. The press pot, also known as the French Press, produces an extremely rich cup of coffee. Brewing in the french press is simple and easy. In this article we will go through how the press pot differs from other brewing techniques. I'll also cover how to make an excellent cup of coffee and troubleshoot some of the most common mistakes beginners make.